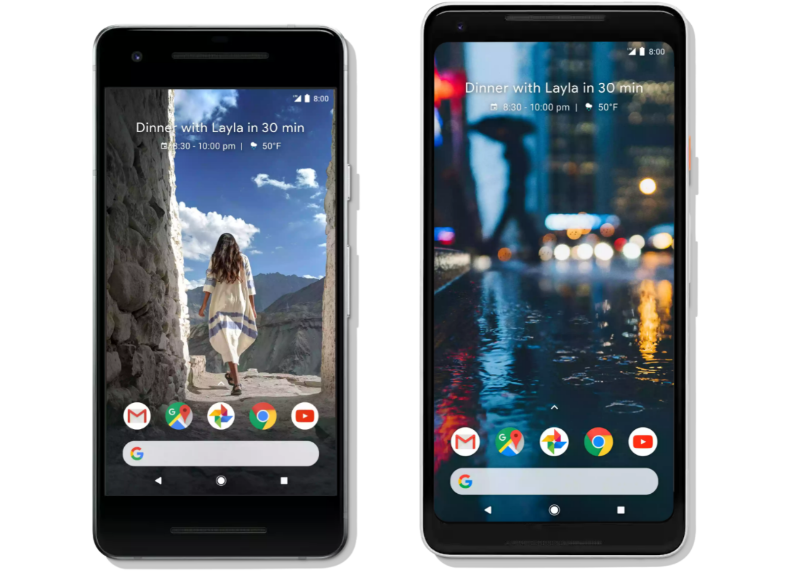 Google's newest flagships, the Google Pixel 2 and Pixel 2 XL are great devices but ever since the devices launched this month, a persistent rain cloud has followed the handsets around. There are many complaints about the display like the colors aren't vibrant as some had come to enjoy over the years in other OLED displays. And while Google offered a specific display feature to add more saturated colors, it was only a 10% boost that many didn’t believe actually made a difference. Other complaints about the display are grainy colors, and even delayed pixels while scrolling. Add to that the issues that some had pointed out, saying that the Pixel 2 XL’s pOLED display may suffer from early burn-in. Which, given how short of time the phone has been on the market, would not be a good thing. Recently, Google said they are investigating the reports of screen burn-in, and apparently the early news out of those investigations is positive, as far as Google is concerned. The company’s own Mario Queiroz has taken to the Pixel 2 XL product forum to inform those interested that the company has found that the Pixel 2 and Pixel 2 XL displays are as good as they knew they were before they launched. However, while they are confident in the displays, they will be releasing software updates to address concerns. So, there you have it. Google didn’t discover any issues with the display, and they will be issuing software updates to add more color options. And now the devices come with a year longer warranty. If you own a Pixel 2 XL, have you been happy with the display?